BLOG COMMENTS HIGH Page Authority Dofollow Comment BACLINKS is simply the smart tactics to Boost Your SERP and business visibility. We Committed to Provide you our 100% best, till your last satisfaction. BUY 3 Get 1 FREE…..OFFER applies for the first month of my service. 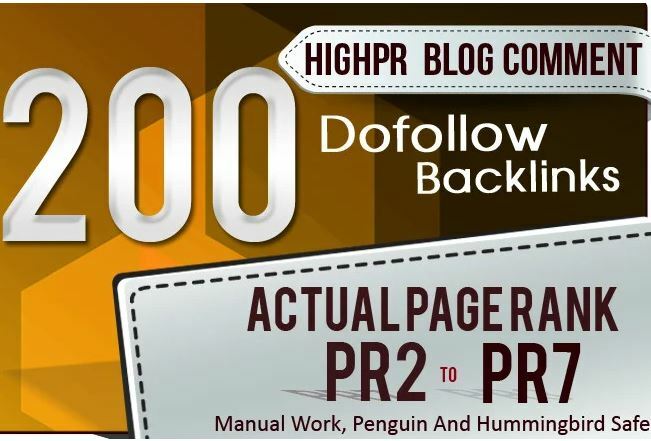 Do 200 Manual Blog Comments Da40 Backlinks is ranked 5 out of 5. Based on 1 user reviews.